I love live music – all kinds of genres in almost any venue. Recently all the stars aligned into my idea of a perfect evening…visiting a friend in my favourite city of Vancouver…seeing the Vancouver Symphony Orchestra perform in the beautiful Orpheum Theatre…hearing Rachmaninoff’s Piano Concerto No. 2 performed before a sold out house…conducted by the VSO’s Music Director, Bramwell Tovey. While he and I have not yet met, I’ve admired Maestro Tovey from afar for some time now. I first became acquainted with him when I lived in Winnipeg and he was the artistic director of the Winnipeg Symphony Orchestra. Over the years I’ve heard him conduct several different orchestras, give pre-concert talks, and speak at a music conference. He is a fine musician and his list of accomplishments is long and impressive. But the thing I admire most about Maestro Tovey is his ability to connect with the audience. He makes the world of classical music approachable, understandable, and – dare I say – enjoyable. The next time Maestro Tovey is in town, be sure to get tickets. It will be a perfect evening. C’mon, ‘fess up. You play an instrument, and you dream of being a rock star. The League of Rock is here. You can join a rock band and have all the fun without the “I’m sleeping in my car somewhere in northern Ontario because I didn’t get paid from my last gig.” They provide rehearsal space, coaching, performing venues, and a chance to meet other musicians. 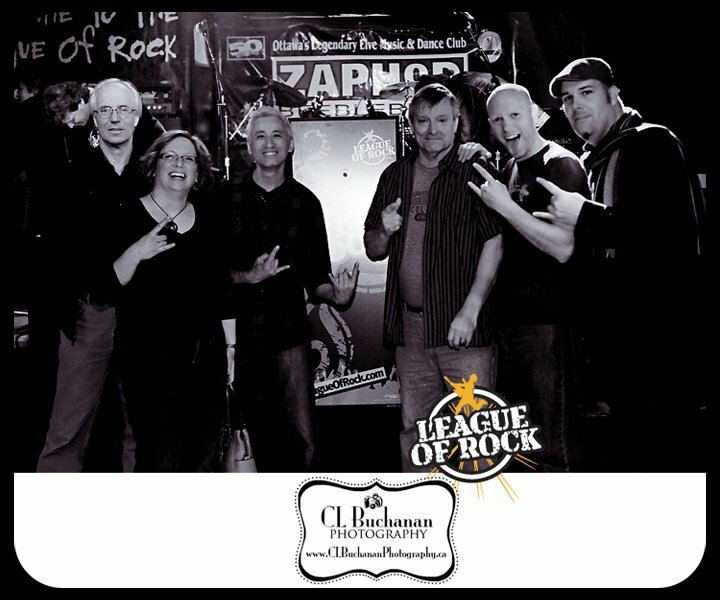 Last Sunday I had a great time jamming at League of Rock’s open house. I met some great amateur and pro musicians from right here in Ottawa, and we rocked the house at Zaphod Beeblebrox. Now that my feet have stood on the same stage as The Rolling Stones, I’ll be discovered any day. You can join the fall session at League Of Rock.